On left - BomsaiBrain's 3d printed Warhammer style miniature. 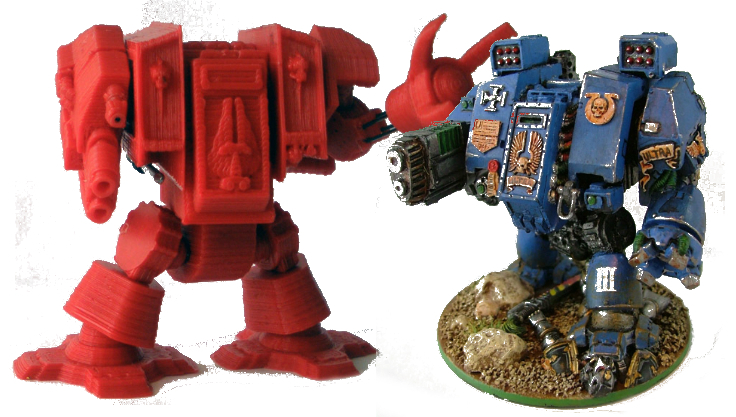 On right - an official GW dreadnought mini. Anyone who’s into 3d printing is probably aware that the PirateBay recently announced a new category on their torrent tracking site for 3d model files, ostensibly for 3d printing, called Physibles. Man do I have a lot to say about that. Sartorial Printing To The Rescue! 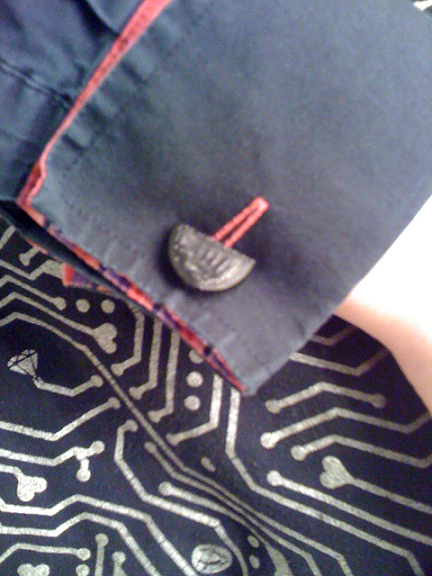 Emergency cufflinks doing sterling duty holding my cuffs closed. This morning, I had a bit of a wardrobe catastrophe. Nothing dramatic like a snapped thong or an impossible hairstyle – no, I couldn’t find my cufflinks. Anyone who knows me knows I am both messy and forgetful – so it was only a matter of time. So what did I do? I designed and printed a new pair before I left for work this morning. Truly, I live in the future.